As soon as your father died, his property became his probate estate. If he left a will, his property will probably be distributed according to its terms by the probate court. You must complete certain steps to get the probate process started. Although all states apply the same basic principles, the specifics of the probate laws of individual states often differ. A valid will is necessary to distribute estate assets in accordance with your father's wishes. It should be printed and signed by your father or by someone authorized to sign on your father's behalf. Some states accept handwritten wills but not all so know your state's restrictions. 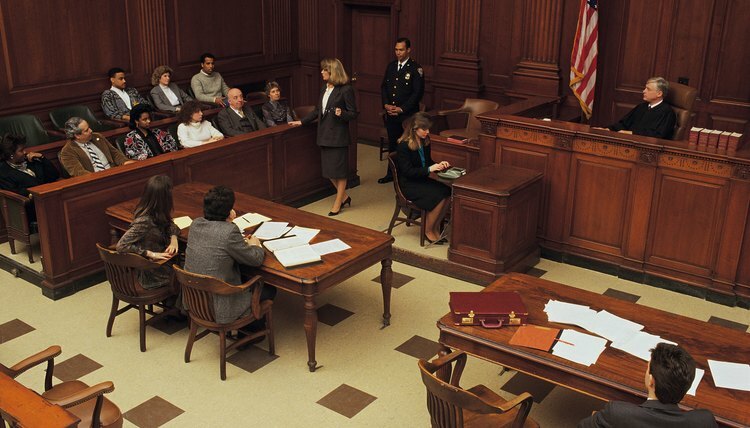 Many states require at least two witnesses to sign the will as well. The will must contain original signatures -- in other words, it can't be a photocopy of the will your father actually signed. If your father's will doesn't appear to meet these requirements, search his belongings to see if he executed another will that does meet these requirements. The probate process is initiated when someone, whether or not the estate executor, delivers a copy of the will and a certified copy of your father's death certificate to the clerk of the county probate court along with an application for probate. The county coroner or the mortuary where your father's body was taken prior to the funeral should have access to a copy of the death certificate; the clerk of the county probate court should have access to applications for probate. Alternatively, you might be able to download an application for probate from the county probate court's website. The application for probate will probably request only basic information such as your father's name and the name of the estate executor he appointed. Once you have delivered these documents to the probate court clerk, the court will set a hearing date and notify the executor. The executor and the probate court handle all further probate administration. If you are not the executor, you will have no further duties. At the hearing, you will have to present the original will, not a photocopy, to the probate judge. The judge will examine it to determine if it appears to be valid. If the will is not obviously invalid, he will issue an order admitting it to probate. He will also formally appoint the estate executor. In almost all cases, the judge will appoint the executor named in the will. The judge will then issue documents to the executor that establish his authority to perform duties such as withdrawing money from your father's bank account or selling estate assets. He may authorize the executor to distribute a stipend to your father's dependents to cover their living expenses during the probate process. Finally, the judge will set another hearing date. The executor must catalog all estate property. He must pay off all of your father's creditors before distributing any property to heirs, even if this means selling estate assets to raise cash to pay debts. He must also collect any money owed to the estate such as your father's last paycheck or a tax refund. The court will set a waiting period during which a hearing will be held to allow estate creditors or heirs to challenge the distribution of property under the will -- and to allow interested parties such as would-be heirs to contest the validity of the will. If the will is fiercely contested, several hearing may be necessary. After the waiting period expires, the probate court makes a final determination as to how estate property is to be distributed and to allow the executor to distribute it. FreeAdvice: How Do I Submit a WIll for Probate?